Firebox Color Rich LED Flame: A blend of technology, artistry and craftsmanship - Dimplex patented LED flame technology is rich in both color and realism. Color Themes: Choose from a variety of brilliant color themes or cycle through a range of colors using the prism mode, freezing on the hue of your choice. Safe, Ceramic Heat: Reduce your central furnace temperature and cut your heating costs with the thermostat controlled safe, ceramic heater. 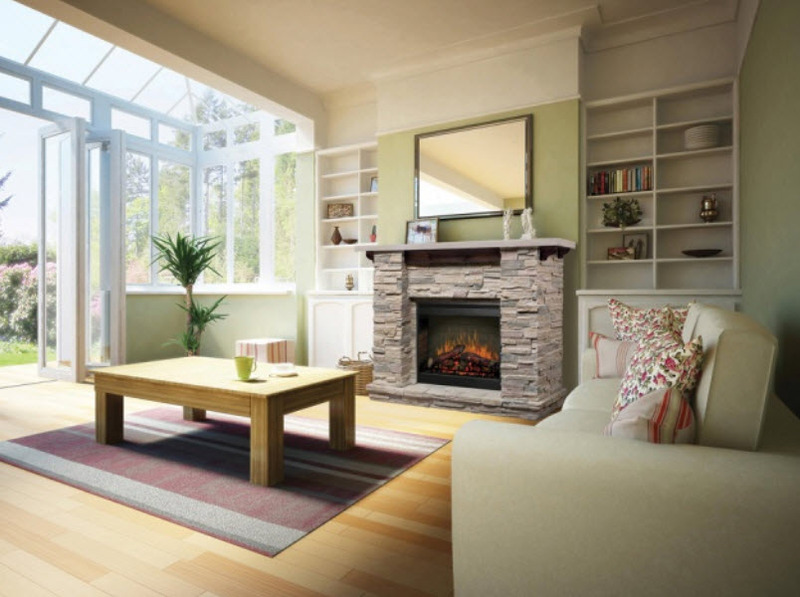 Quietly operates with or without flame for warming spaces up to 1,000 sq ft. This unit features 4,915 BTU's which can provide supplemental heat for areas up to 1,000 square feet in size. 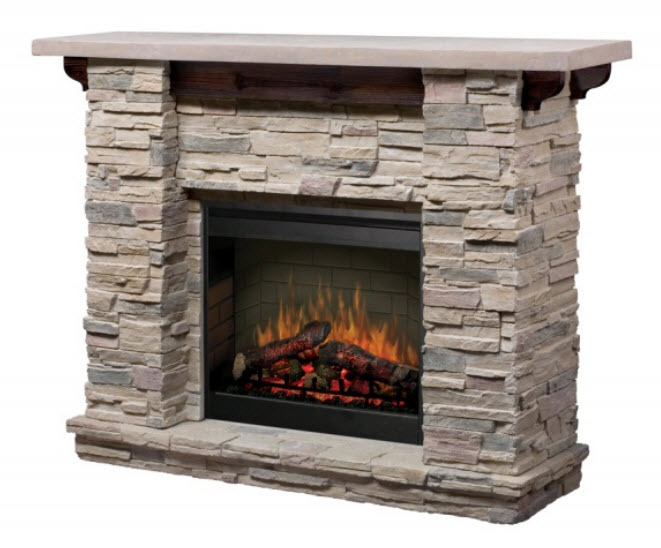 This fireplace model is constructed of an engineered high density resin core material that emulates the look and feel of real cast stone.